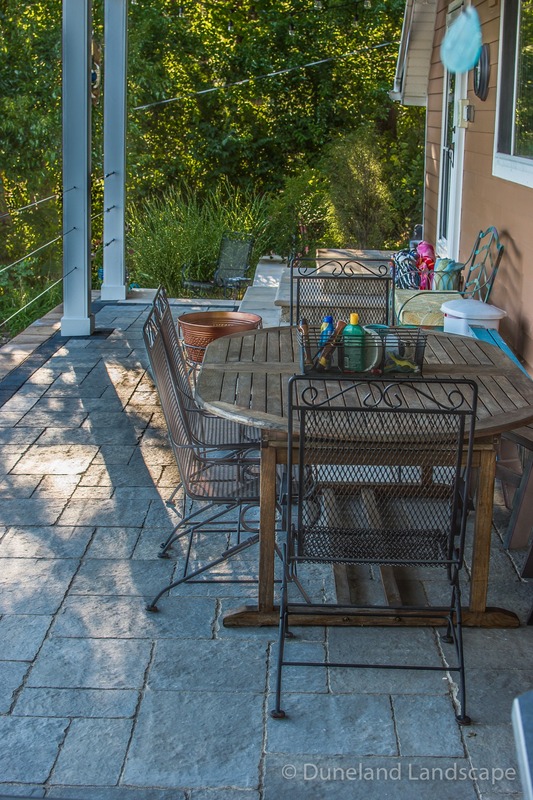 Having an outdoor living area for all of the family to enjoy is one of the best parts about living in Northwest Indiana and Southern Michigan. 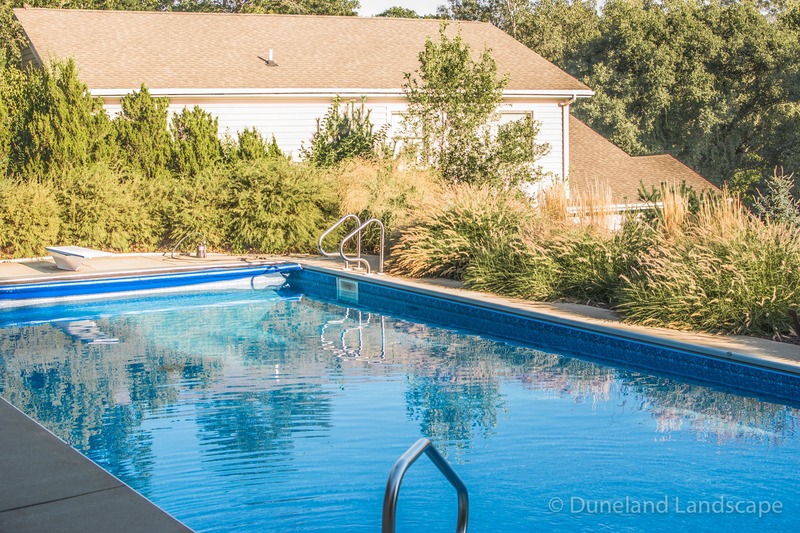 For many, the best outdoor living spaces consist of a pool and surrounding pool deck. 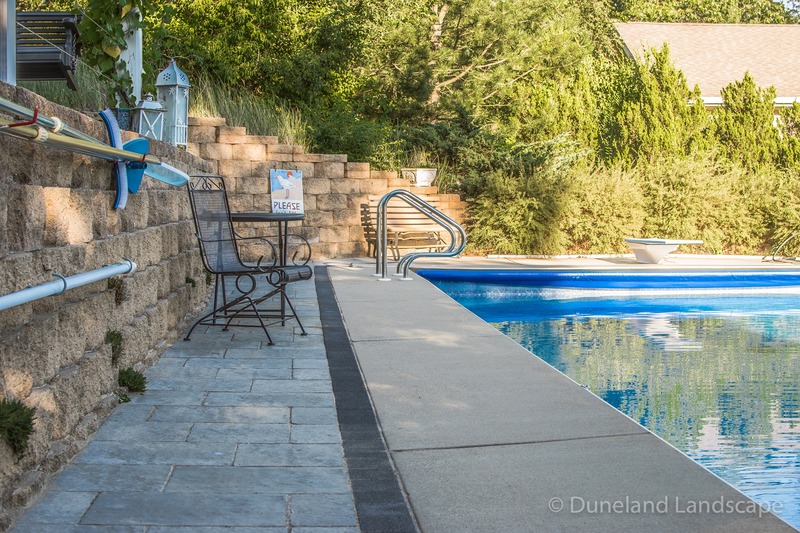 At this Ogden Dunes home, Duneland Landscape designed and installed patio hardscaping surrounding the family’s favorite outdoor focal point: the pool. 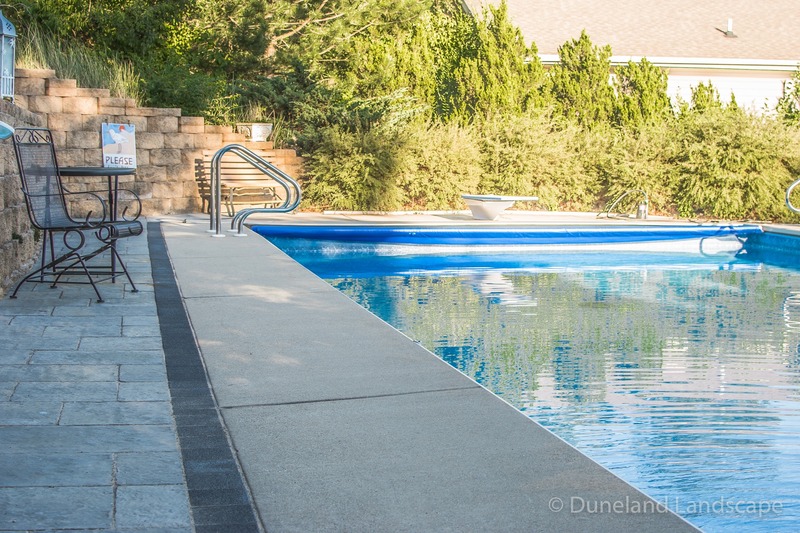 We began this pool deck living area design by cementing a border around the rectangular shaped pool. 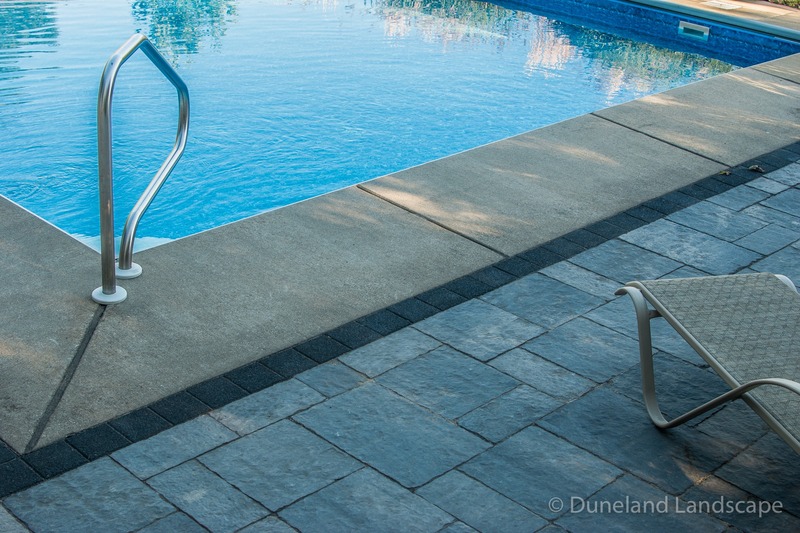 We then added a touch of modern style with gray brick pavers set in multiple directions and in multiple sizes. 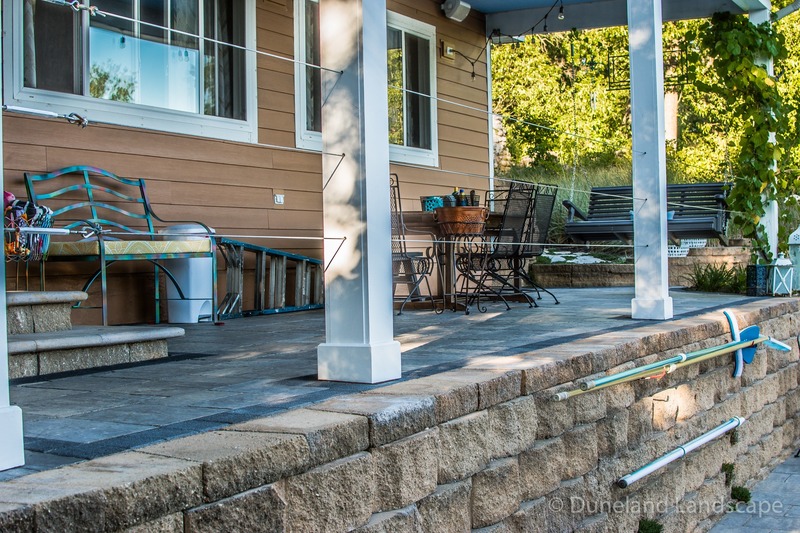 Moving up the pool deck, we installed a brick paver retaining wall to keep the home elevated away from the water. 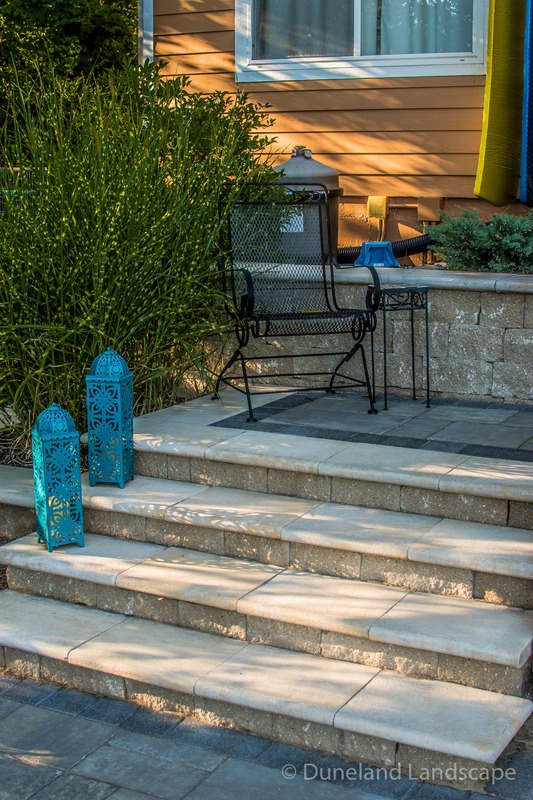 In this hardscaping project, we also added two sets of brick paver staircases. 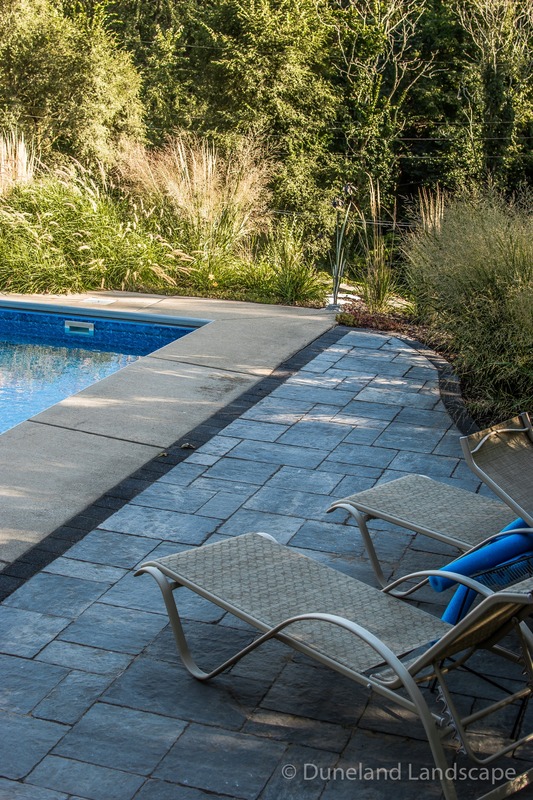 The first has a sleek, modern design with tan slates leading up the retaining wall from the pool deck to the second level. 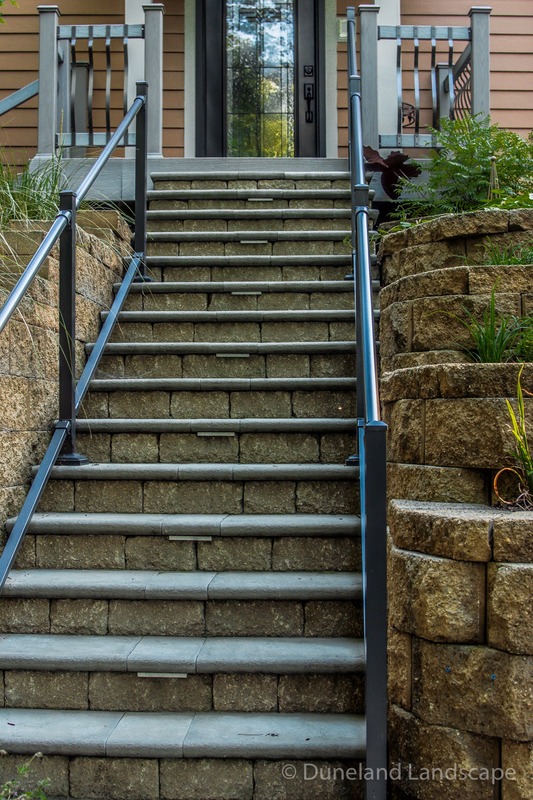 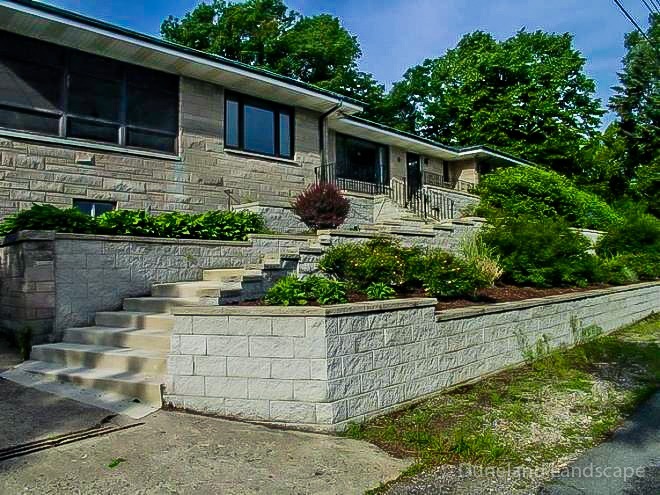 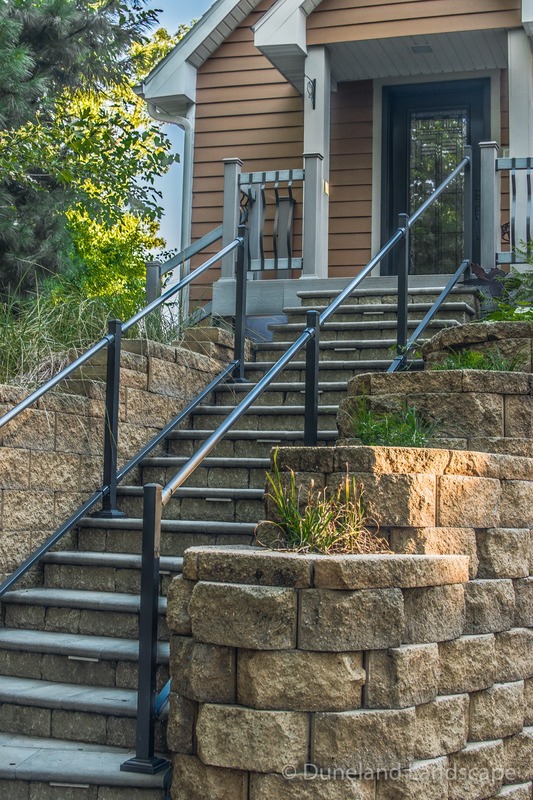 Additionally, in the front of the home, we added a staircase with metal railings and paver bricks for a functional and appealing design. 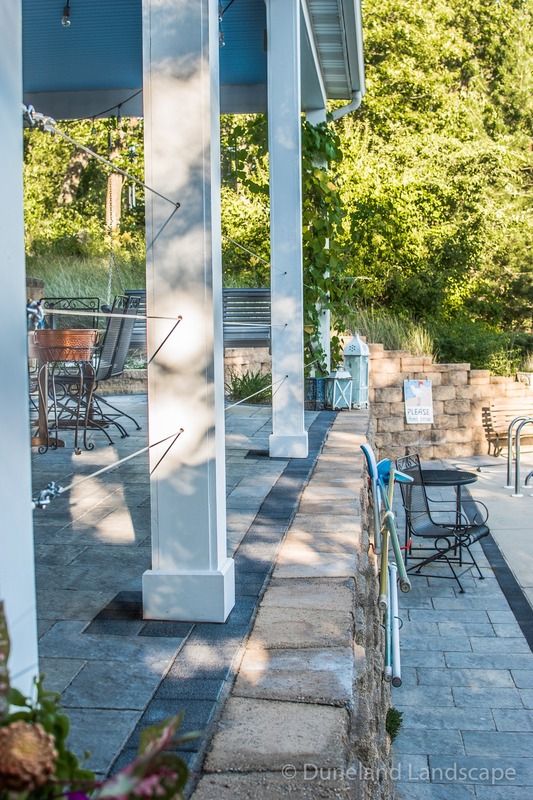 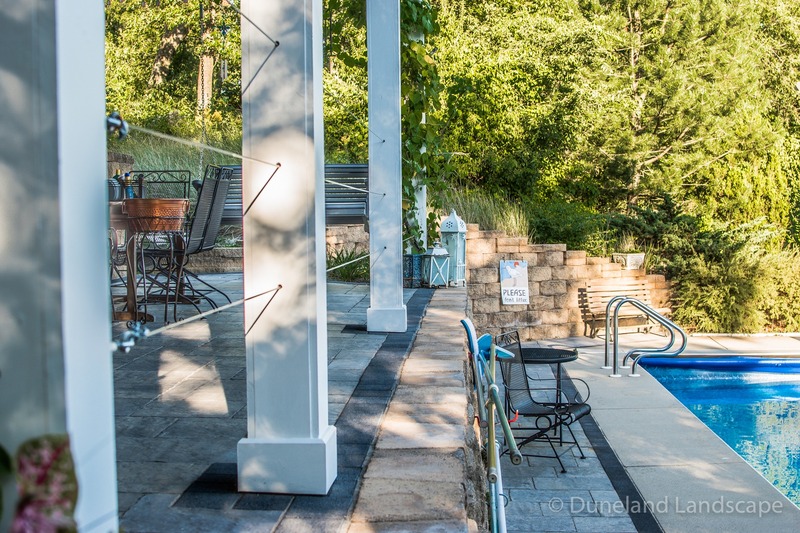 Finishing off this project, Duneland Landscape added wiring fencing between the supporting columns of the second level deck for safety without reducing visibility of the pool below. 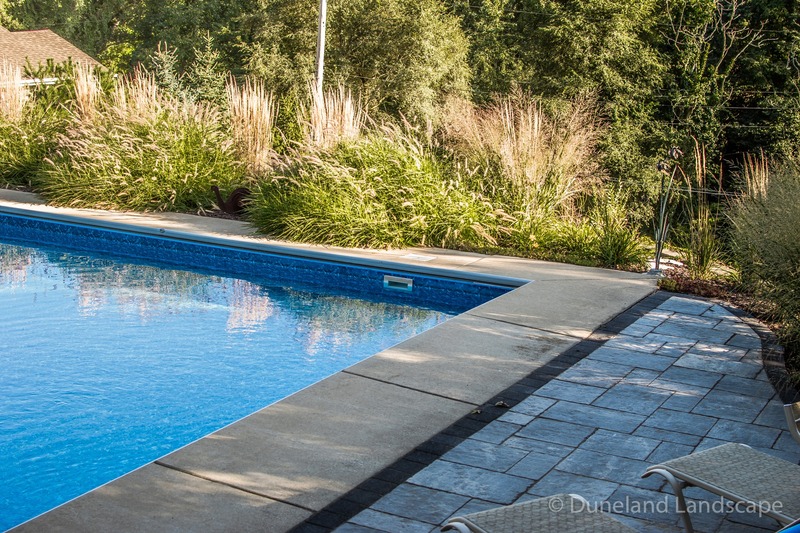 Are you ready to build your dream outdoor living area with a pool and patio deck? 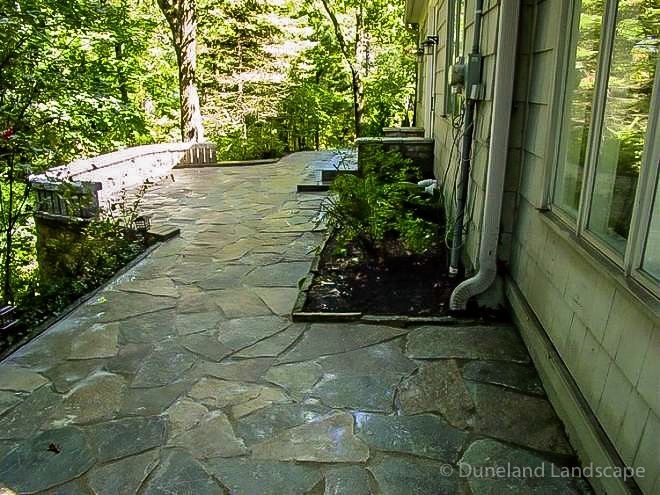 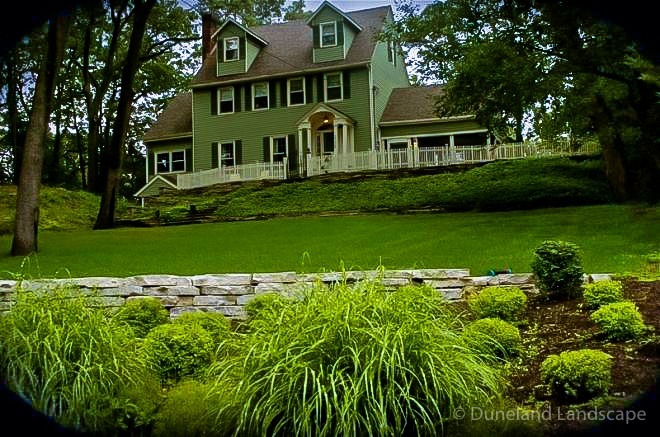 Duneland Landscape has a team of expert landscapers who can help make that dream a reality. 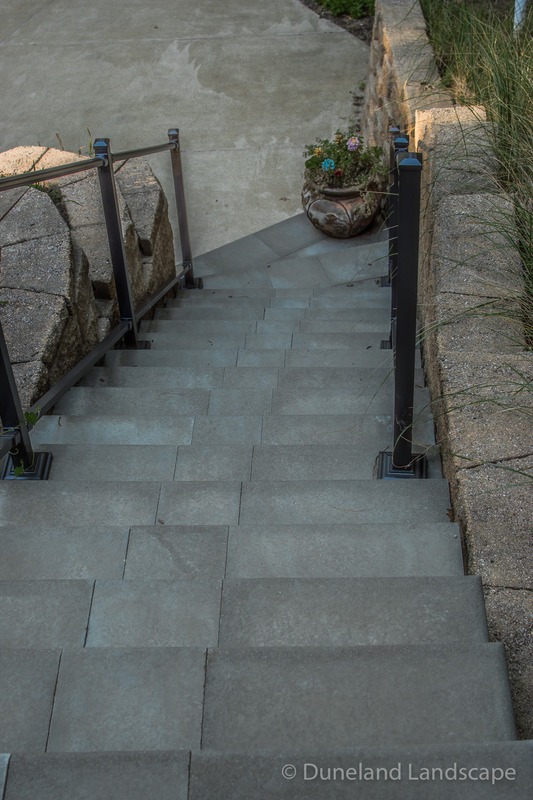 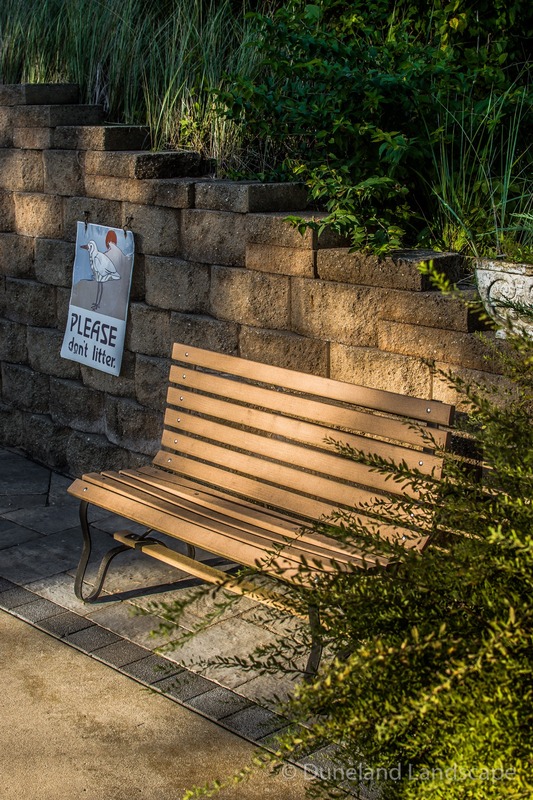 Contact us today to get your hardscaping design project started!